Day 21: Big. 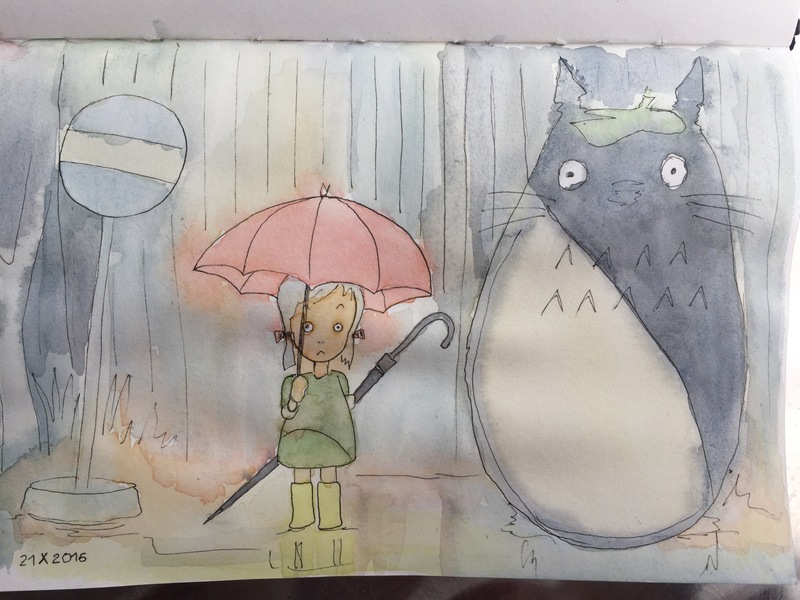 The rain scene from Hayao Miyazaki’s picture My Neighbor Totoro. Black ink, uniball pin pen, 0.05 mm; and watercolour. Day 22: Little. 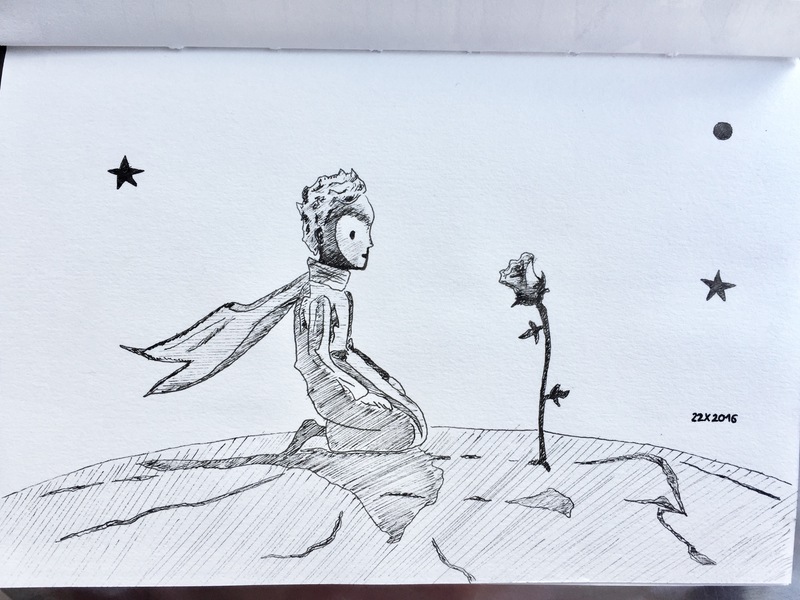 The Little Prince kneeling on a small planet in front of a rose. Black ink, uniball pin pen, 0.05 mm. 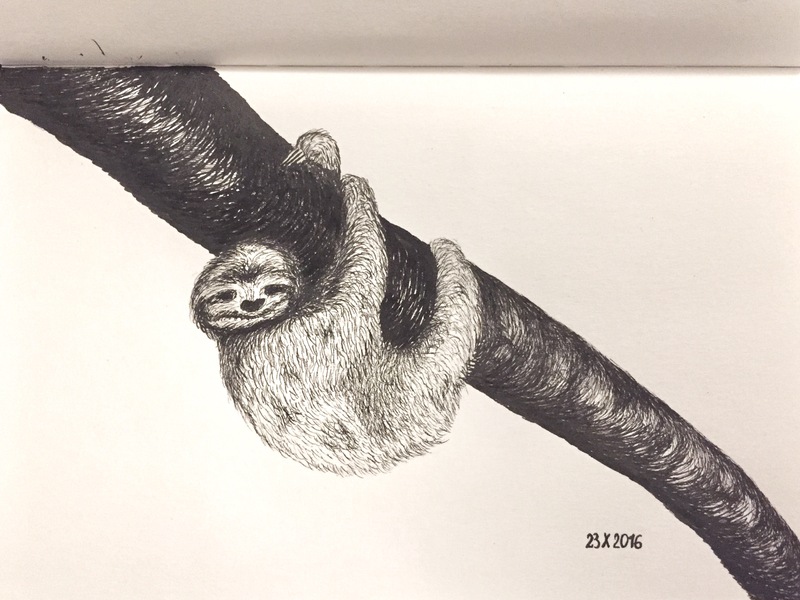 Day 23: Slow. A sloth hanging from a branch. Black ink, uniball pin pen, 0.05 mm. Day 24: One dozen. 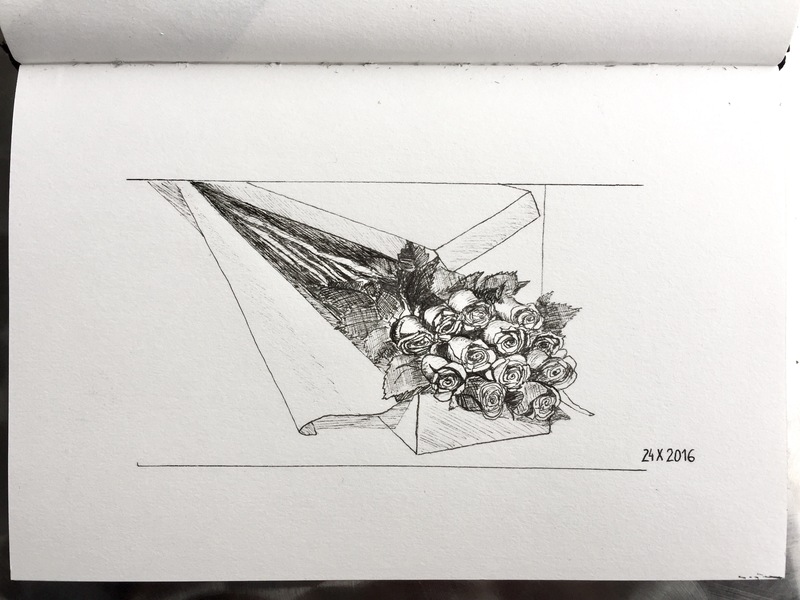 A dozen roses in a gift box. Black ink, uniball pin pen, 0.05 mm. 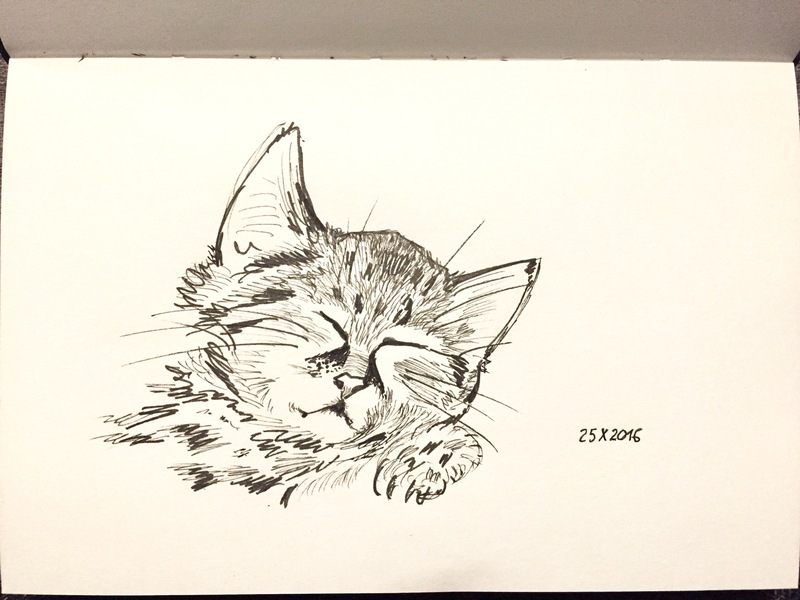 Day 25: Tired. Kitten asleep. Black ink, uniball pin pen, 0.05 mm.